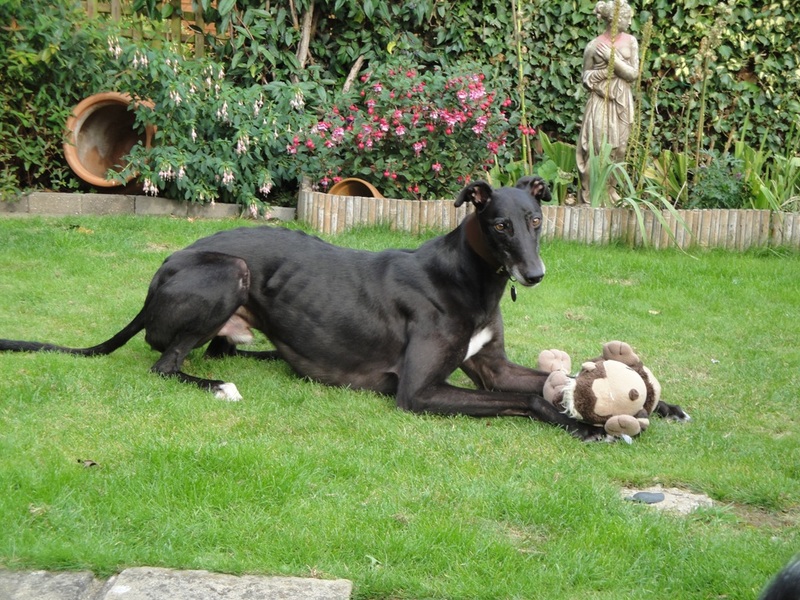 Jimmy is one of four dogs which arrived on 8 September from Ireland. These dogs travelled for 20 hours before reaching our kennels and even though they were probably exhausted from the journey, they still greeted the kennel staff with wagging tails and lots of licks ? which says everything about what wonderful dogs Greyhounds are. All four dogs would like to say a ?BIG THANK YOU? to Eila in Ireland for rescuing them. Jimmy has been rehomed with Jean and Freddie in Stoke Gifford. Jean says: Jimmy and Freddie are getting on so well, Freddie adores him. Jimmy must be the sweetest dog ever. He is learning so much in such a short space of time. A very intelligent dog.